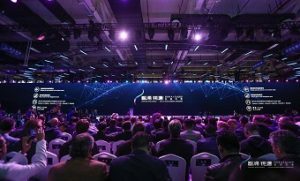 Hikvision successfully hosted the second ‘Shaping Intelligence’ AI Cloud Summit at Hangzhou Whitehorse Lake International Exhibition Centre from 29-30 March. Under the theme of ‘Data Enrichment with AI’, the summit served as a platform for AI Cloud ecosystem partners to exchange knowledge on leading-edge AI and big data technologies and applications. It comprised a main forum and four sub-forums on the topics of Finance, Commerce, Public Services and Smart Governance for Cities. Over 3,000 participants took part, including Hikvision customers, industry leaders, academic experts and partners.